This post explains what happened in the Irish Rebellion 1916. It is a highly significant event in Northern Ireland History as it had the single biggest impact on the Nationalist political culture that exists today. The supreme council of the Irish Republican Brotherhood (IRB)called together the leaders of the various parties. At the meeting there was mutual agreement that the War which was occupying Britain’s thoughts and time, was an ideal opportunity for a rising against the British in Ireland. Thomas Clarke led this instigation and was supported by Patrick Pearse , Sean McDiarmada, Sean O’Ceallaigh and Eamonn Ceannt. They were to be joined later by Joseph Plunkett , James Connolly and Thomas McDonagh. Not all of the Irish Volunteers answered the call by Redmond to join the war effort. They regrouped under Eoin MacNeill who believed it was important that the Volunteers miantained their strength at home. The split was a significant one. Griffith and Connolly refused to fight on the grounds that it was an English war and Ireland had no dispute with Germany. Patrick Pearse was a key influencer at this time since joining the Gaelic League in 1896. It was he who wanted the promotion of its aims, to educate and improve the lot of Irish literature. He graduated from the Royal University of Dublin and although called to the bar, never practised. In the weeks leading up to the Easter Rising, the Irish Volunteers and the Citizen Army held parades, hoping to enlist support. The IRB had received many pledges of support and expected that when the day came they could have the active support of around 10,000 people. Events however appeared to conspire against this actually happening in quite a number of ways..
Eoin MacNeill was the leader of the Volunteers at that time. However due to his contrasting views, he had been kept in the dark by those plotting the rising. They feared that he would not have given his support. When he did discover what was happening, he feared that his volunteers would be hopelessly outnumbered, and he gave orders to cancel all planned manoeuvres. In addition to this a German ship called “The Aud” which was bringing arms was captured. This was not a good planned start to the Irish Rebellion 1916. Sir Roger Casement had been organizing support in Germany was also captured in County Kerry when he landed from a U-boat. Eoin MacNeill re-issued his orders to cancel all activities. However, the IRB leaders were determined to carry on and advised their supporters that the rising would start on Easter Monday. It was just a normal day in Dublin and people watched as volunteers marched through Dublin. They assembled at Liberty Hall, and then dispersed to various places throughout the city. They seized a number of strong points which included the General Post Office at O’Connell Street in Dublin. This had been signed by Clarke, McDiarmada, MacDonagh, Pearse, Ceannt Connolly and Plunkett. However the volunteers failed to capture Dublin Castle and the telephone exchange, and when the authorities were alerted they instantly summoned reinforcements. They arrived the fighting intensified with artillery introduced. The 2,000 participants in the Easter Rising were now trapped in positions and were isolated as little support was actually given from the common people. As a result of this the rebel positions grew more and more isolated. A British gun-boat came up the Liffey River and began to shell the GPO. Throughout Ireland there was little or no support for the rising and the government responded by declaring a state of martial law. General Maxwell arrived from England and took control of the British troops and continued the artillery barage. Less than a week later the Easter Rising was over and many deaths and casualties had occurred. Central Dublin which had been pounded by artillery was in ruins. 500 civilians had lost there life and had nothing to do with the Rising. 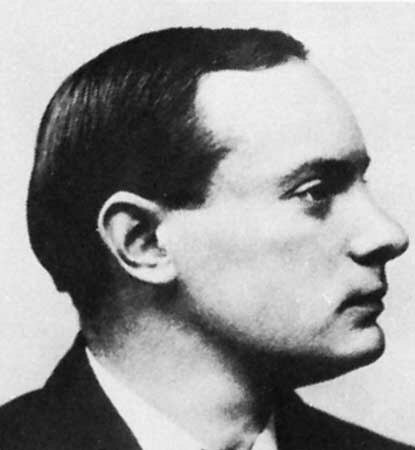 Pearse surrendered on 29th April 1916. After this in a series of Court Martials, fifteen leaders of the rising were found guilty and executed by firing squad. Connolly, who had been wounded in battle, was tied to a chair before his execution. This met with public revulsion and Ireland now had its latest set of martyrs. Over 3,400 were arrested and half of these were either interned in England or Wales. From these camps they continued to plan a new onslaught on Britain. A sixteenth person was then executed in London for his part in the Easter Rising. Sir Roger Casement was hanged as a traitor on 3rd August 1916. Two senior members who avoided execution were the Countess Markievicz and Eamon de Valera. The Countess was spared as she was a woman and de Valera had his sentence reduced to life imprisonment so as not to create anger in America, where he had been born. De Valera was released from prison in June 1917, along with some others involved in the Easter Rising. De Valera had been born to an Irish mother and a Spanish father in America and when his father died he was sent to his mother’s family in County Limerick. In 1917, Sinn Fein decided to create a central point of control and to agree a comprehensive set of policies and they held their first conference (Ard-Fheis) on the 25th October. One of these policies was to secure the International recognition of Ireland as an independent Irish nation, something most likely introduced by De Valera. With the execution of the leaders, the mood of the country had changed and Redmond’s Labour party were now a spent force. The other leaders of the IRB who had been in prison had found much time for planning and they formulated a plan to promote Sinn Fein as the political wing of the IRB. Sinn Fein won several by-elections and De Valera was elected MP for East Clare. He took over from Griffiths as the leader of Sinn Fein and was also made President of the Irish Volunteers. 2016 will be a significant year across Ireland as it is the hundredth anniversary of the Easter Rising. Celebrations will take place across the country and it is expected that other countries across the world will be invited to join in. This will of course cause some division in N.Ireland and it will be interesting to see how this plays out.